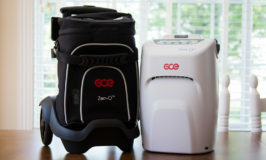 For many oxygen users, their first interest in a portable oxygen concentrator arises when they wish to travel by airplane. Whether for a vacation abroad, or a trip across the country to see their newest grandchild, oxygen users are no longer bound at home, but are free to travel the world. 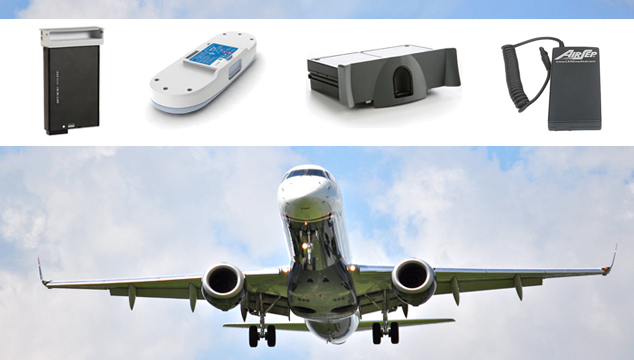 With manufacturers ensuring that their portable concentrators are approved by the FAA, air travel is now accessible for most oxygen users. 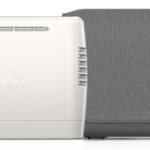 The FAA requires all airlines to allow the use of portable oxygen concentrators, but the airlines are not required to provide electricity to power your unit. Instead they require that you have sufficient battery power for the flight. Thus, when traveling with a portable oxygen concentrator one of the most important considerations is the number of batteries you will need for your flight. Most airlines require sufficient battery power to last 150% of the flight time. For example, if the flight time is four hours then you would need six hours of battery time (4 x 150% = 6). Once you determine how much battery time your flight requires, then you can calculate the number of batteries you will need. Let’s look at a couple examples. First, let’s do the math for the flight: 5 hour flight x 150% = 7.5 hours of battery time required. Now let’s look at our battery options: the Inogen One G3 offers an 8-cell battery that lasts 4 hours on setting 2, or a 16-cell battery that lasts 8 hours on setting 2. So for our flight we would need either two 8-cell batteries or one 16-cell battery. Again, let’s do the math for the flight: 4 hour flight x 150% = 6 hours of battery time required. Now let’s look at our battery: the Eclipse battery lasts 2.3 hours at 2 LPM continuous flow so we will need 3 batteries (2.3 x 3 = 6.9). Note: If the flow setting is 2 pulse, then the battery lasts 4.4 hours and only 2 batteries would be needed (4.4 x 2 = 8.8). While you may need oxygen only for a short time during your flight, airlines hold to a worst case scenario and assume that you will need oxygen during the entire flight, and they will not allow you to fly without sufficient battery power. Short layovers between connecting flights will not allow enough time to recharge used batteries so you need to add this additional time into your calculations. Be sure to use your DC power supply while driving to the airport so you do not prematurely drain your batteries. Also, as soon as you get through security, use the electrical charging station at the gate (or a plug on a wall) to keep your battery charged while waiting to board the airplane. Battery duration times provided by the manufacturers assume a new battery. As your batteries wear down over time you may need an additional battery to have sufficient battery power for your flight. None of the small, pulse only POCs have altitude ratings above 10,000 feet. The highest altitude ratings are found only in the SeQual Eclipse 5, SeQual eQuinox, and DeVilbiss iGo. These units are rated for 13,000 feet. However, none of these units are small or light enough to carry in a backpack. The Inogen One G2 is the most powerful pulse only unit on the market and still may be your best bet if your greatest concern is a unit that can be carried in a backpack. If you go up to 14,000 feet regularly, then you will have to sacrifice the size and weight in order to get a more powerful machine. Unfortunately, there is always a trade-off. My husband and I are flying from east coast (leaving at noon) to west coast (arriving 5:30 pm) with one layover. The entire trip is 8 hrs. 26 min. We own an Eclipse 5 poc. How many batteries would my husband need at level 4 pulse or, in the alternative, 3 lpm continuous? And are these two pulse and continuous settings comparable to each other? Thank you so much for any information you can provide. Airlines require that you have 150% of the flight time in battery power. If you layover is not long enough to recharge your batteries, then it is best to calculate 150% of the total travel time: 8.5 hours x 150% is 12.75 hours of battery time. According to the manufacturer specifications, the Eclipse battery will last 4 hours on setting 4 pulse, so you would need 4 batteries. At 3 LPM continuous, the battery 1.3 hours, which would require 10 batteries. The unit runs much harder on continuous flow, thus the batteries wear down faster. For the difference between pulse and continuous flow, I recommend you read an article I wrote specifically about that question. Thank you so much for the information. It’s very helpful.